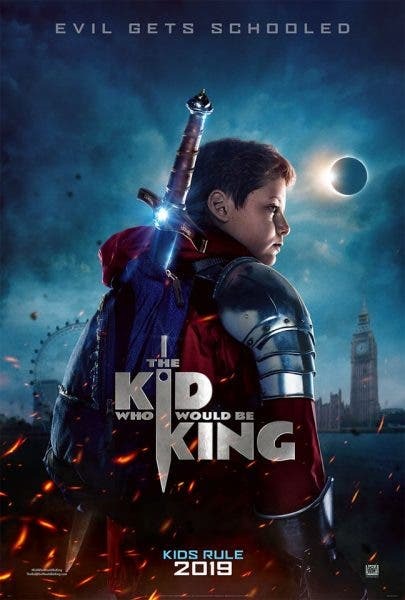 An amazing new epic adventure unfolds as 20th Century Fox debuts the first TRAILER of “The Kid Who Would Be King” starring an exciting cast that features Patrick Stewart, Louise Serkis, Rebecca Ferguson, Angus Imrie and Tom Taylor. Old-school magic meets the modern world in “The King Who Would Be King” when young Alex (Serkis) stumbles upon the mythical sword Excalibur. He soon joins forces with a band of knights and the legendary wizard Merlin when the wicked enchantress Morgana (Ferguson) threatens the future of mankind. “The Kid Who Would Be King” opens January 2019 from 20th Century Fox.